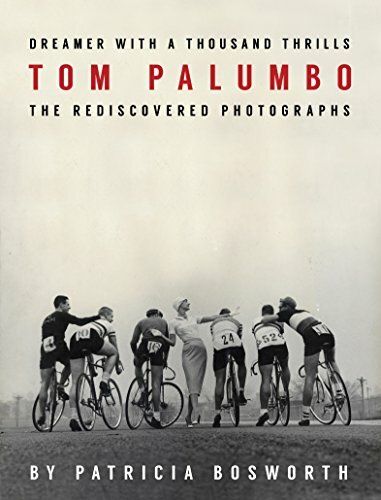 At a time when names such as Blumenfeld, Scavullo, Avedon, Clarke, Horst, Radkai, Rizzo, Parkinson, and Penn were bandied about and very visible in the world of fashion photography there was also a gentleman named Tom Palumbo. The partial list just offered is but a sampling of the newcomers and stars of the era who would go on to major careers with bodies of work in fashion that defy the imagination. Anyone who knows anything of fashion and fashion magazines of the era will tell you that if a photographer was lucky enough to work under the watchful eyes of Alex Liberman and Alexey Brodovitch in the Vreeland and Snow era, then their work was far more than merely just acceptable. In fact, it was probably laden with infinite possibilities and talents, known and unknown. Bosworth delivers a wonderful love letter about a man she was briefly married to as well as one about a photographer whose assets were almost prismatic in the infinite ways he could display his many talents. While Palumbo was only known to this reader via his fashion work, he was so much more and Dreamer with a Thousand Thrills delivers an eye opening accounting of a rather brilliant almost limitlessly talented man. Books like Dreamer with a Thousand Thrills are extremely rare as they offer the reader so much more than just a catalog of pretty pictures. With limited text, Bosworth portrays a man whose life and loves were almost explosive in so many ways. He was not the studio/seamless photographer of the era but more of a lifestyle kind of guy who took into account not just the model but the “big picture.” That is not to say that Palumbo didn’t produce some of the most iconic studio images to ever hit the pages of fashion magazines that featured his then wife Anne St. Marie. The more informed reader might draw a parallel to William Helburn who followed a similar path out of fashion but not to the scope of Palumbo. If you have any interest in photography and what goes on inside the minds of those who are truly multitalented artists, then Dreamer with a Thousand Thrills is a must read. Jeffrey Felner is a dedicated participant and nimble historian in the businesses of fashion and style. Decades of experience allow him to pursue almost any topic relating to fashion and style with unique insight and unrivaled acumen.